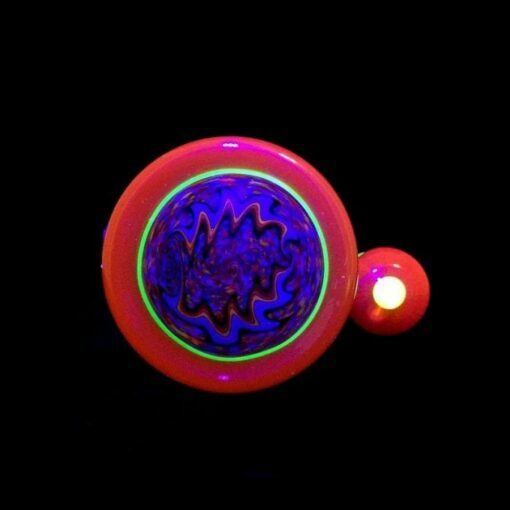 This Oil Rig features a pure silver fume linework design with an encased opal chunk, and UV reactive design! 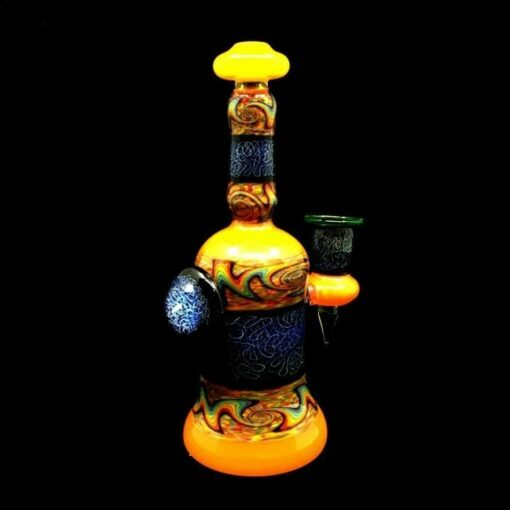 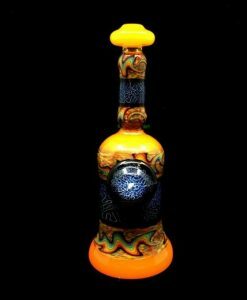 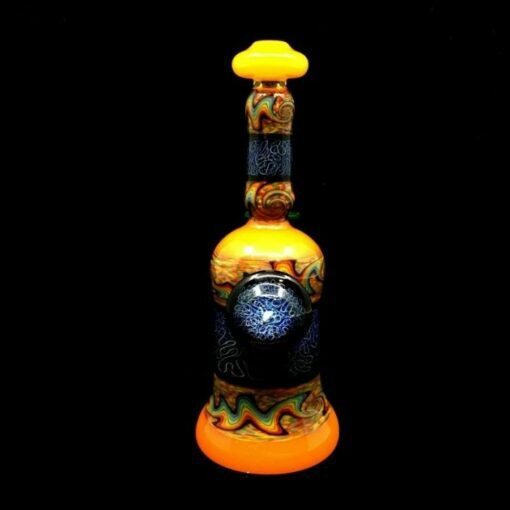 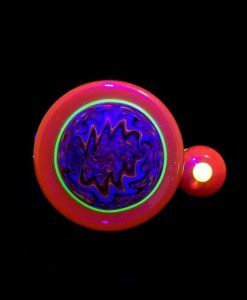 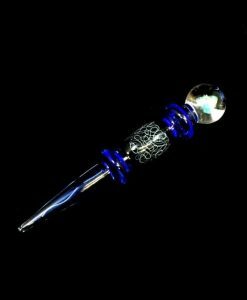 This Chuck B Banger Hanger Rig is hand-blown by local glass artist Chuck B and is UV Reactive! 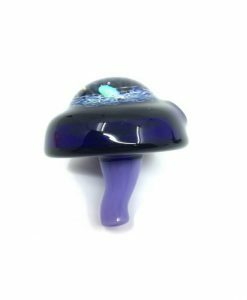 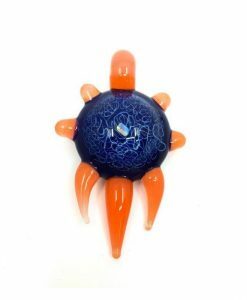 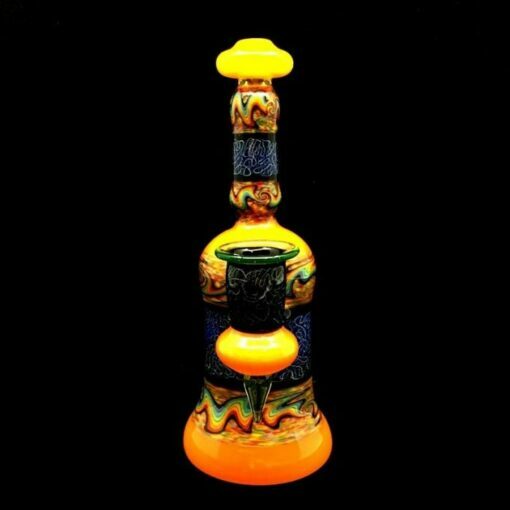 This piece features a pure silver fume linework design with colorful reversal. 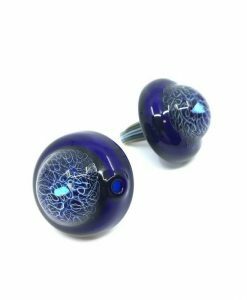 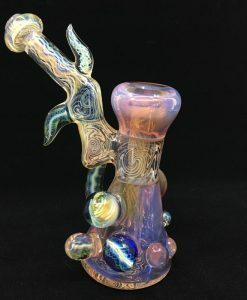 A few more special features; the back of the rig has a large glass marble matching the style of the rig with silver fume linework and an opal encased in the glass. 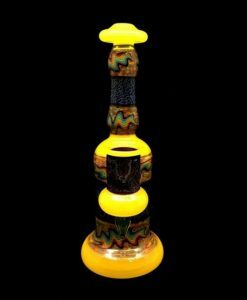 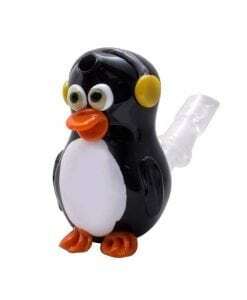 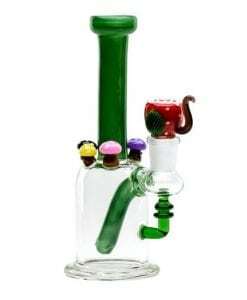 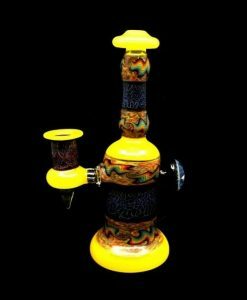 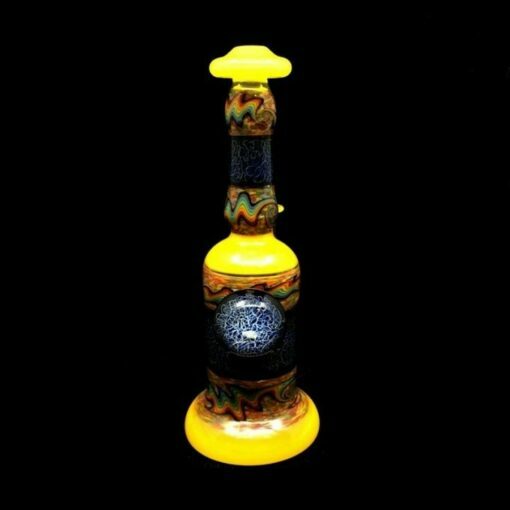 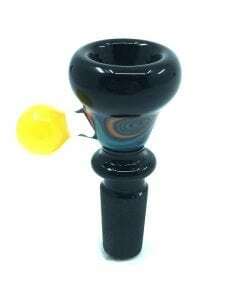 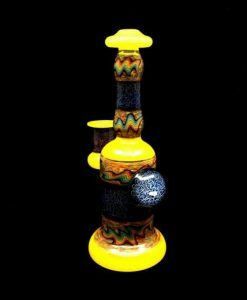 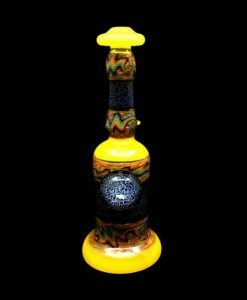 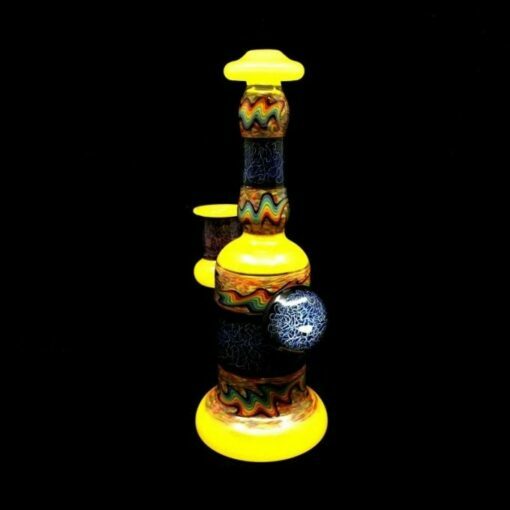 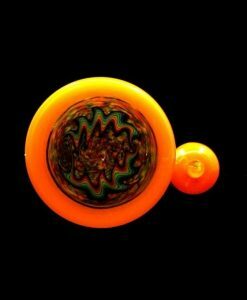 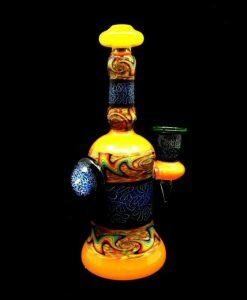 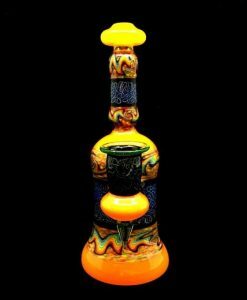 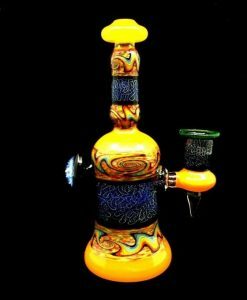 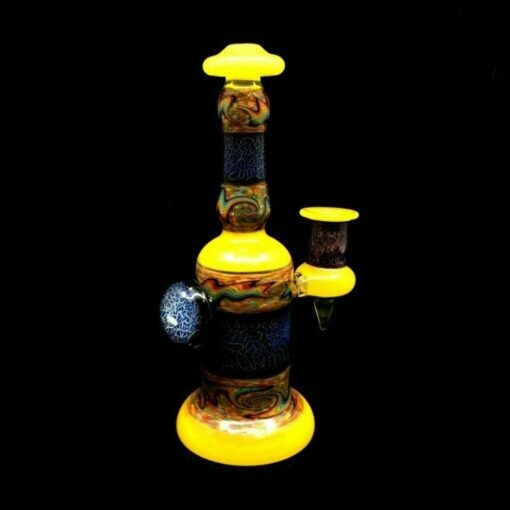 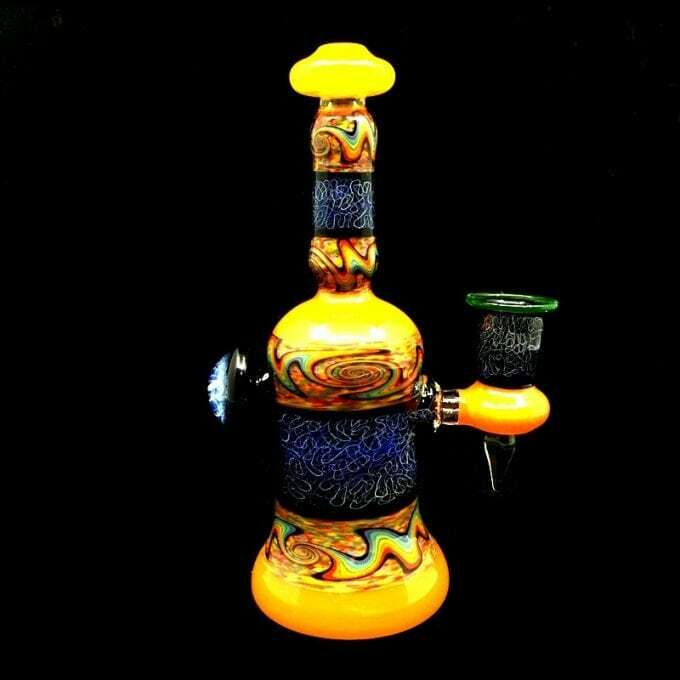 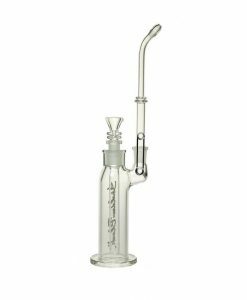 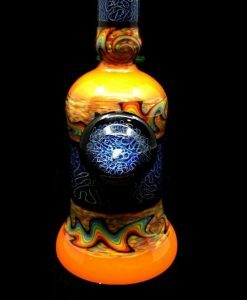 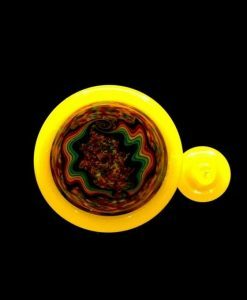 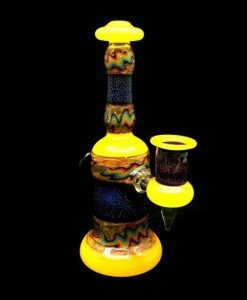 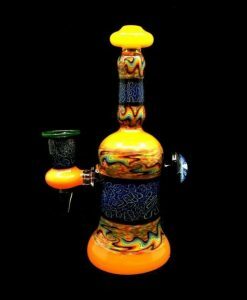 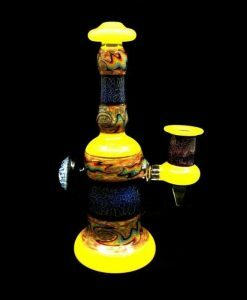 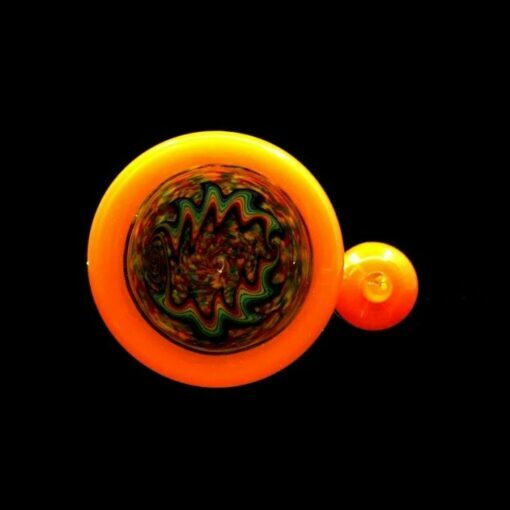 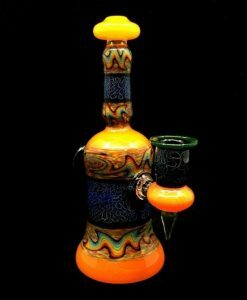 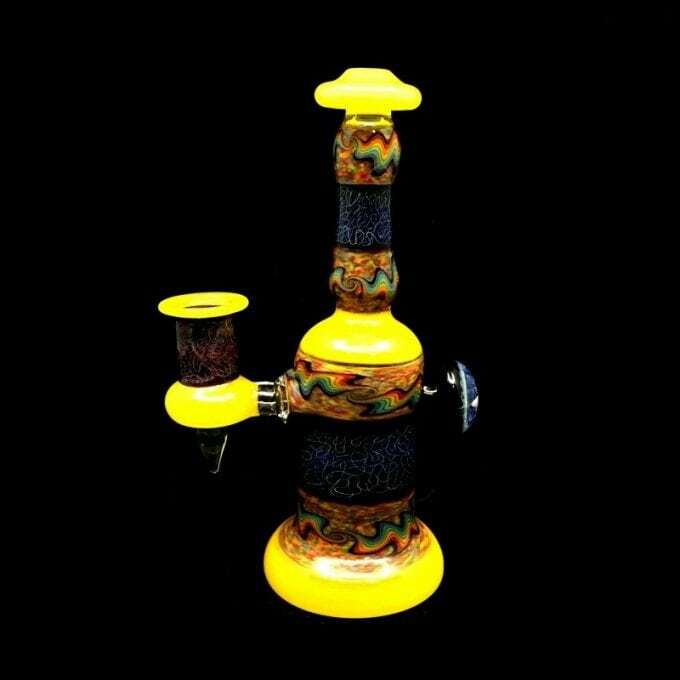 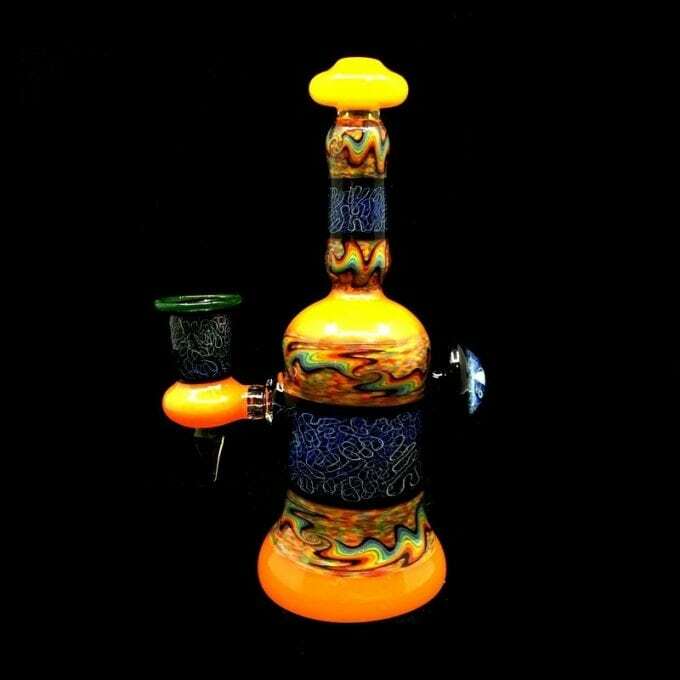 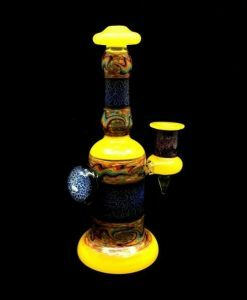 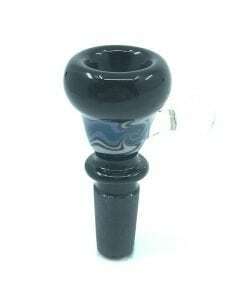 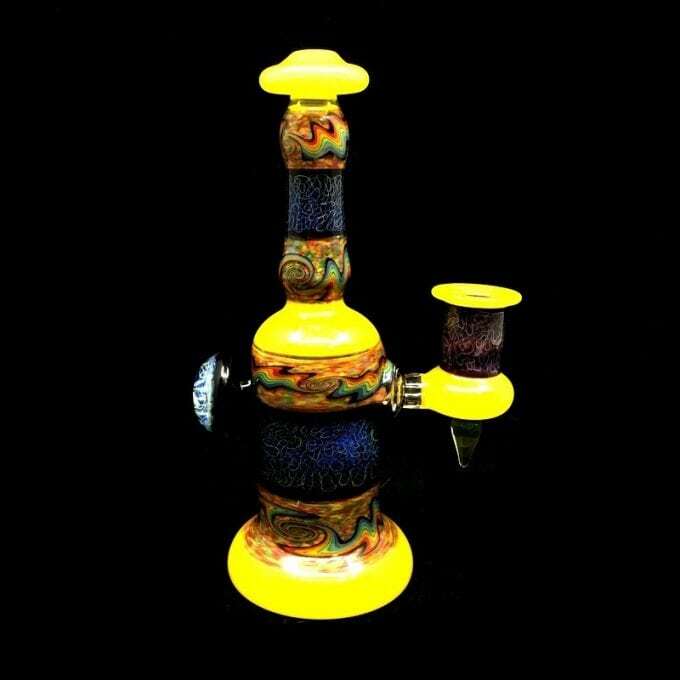 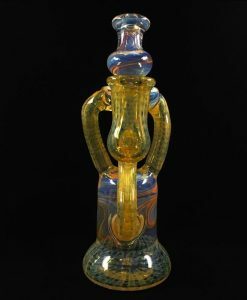 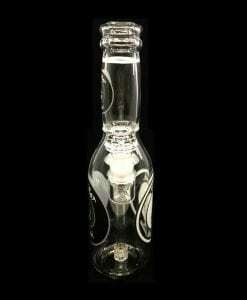 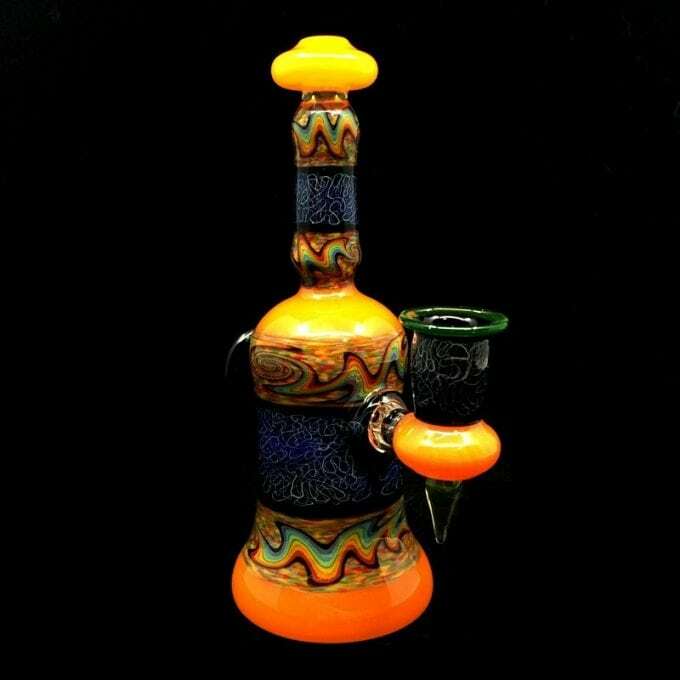 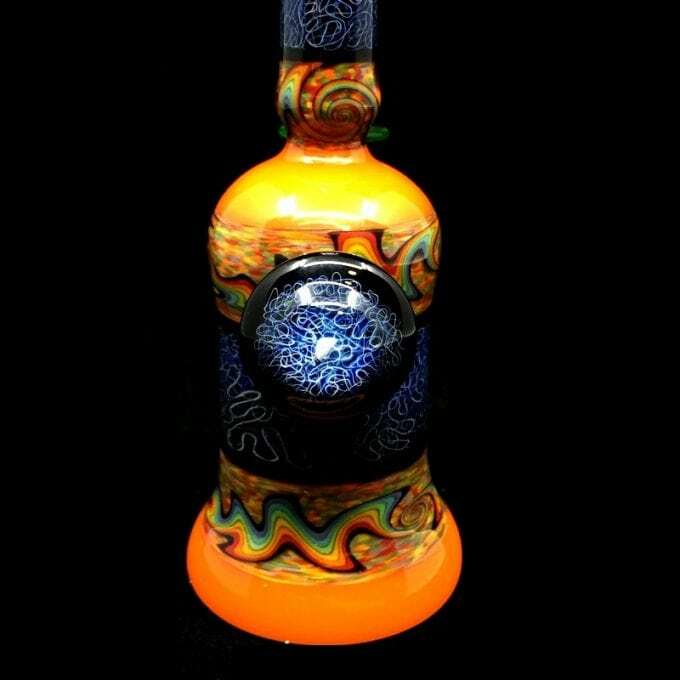 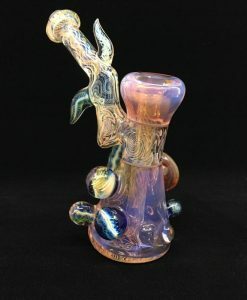 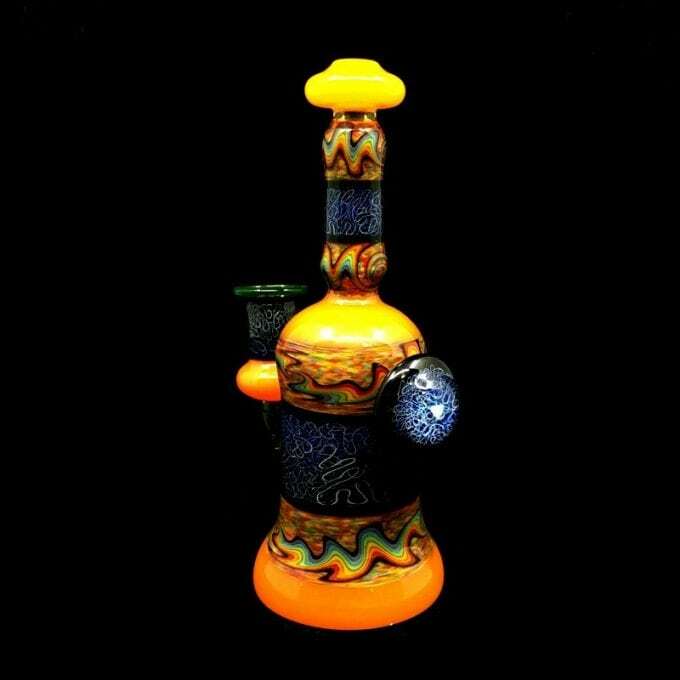 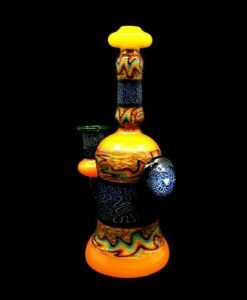 In addition to these unique features; the left side of the rig has a solid glass marble and the bottom has a matching colorful reversal design. 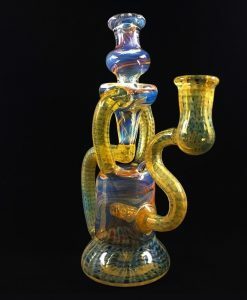 This heady glass rig is made from solid borosilicate glass and is truly a beautiful, one-of-a-kind piece of functional art.